“I must not hurt humans”… The repeated written sentence as punishment… for a robot! The installation Punishment (2017) by Filipe Vilas-Boas and Paul Coudamy features a large articulated arm “sitting” at a desk, busy copying the first fundamental law of robotics, as formulated by science fiction writer Isaac Asimov. However, artificial ‘intelligence’ in the field of art – and life in general for that matter – has long since overstepped the boundaries of Sci-Fi. From Nicolas SCHÖFFER (1912-1992)’s first creative machines (CYSP 1) in 1956 to Takashi MURAKAMI (1962)’s humanoid self-portrait Robot Arhats in 2016, art history already has 60 years of experience with robotised phenomena that challenge the traditional definition of art, the artwork and the artist. Last spring’s exhibition Artists and Robots at the Grand Palais in Paris provided an excellent overview of the role of new technologies in contemporary creation… so far. Artists have always been on the lookout for technical innovations to open the field of creative possibilities. The arrival of photography and video allowed the creation of new works using new media. At the International Exhibition of 1937 Raoul Dufy celebrated the major technological advance of the 19th century – electricity – in his painting La Fée électricité. Dufy was given just 10 months to paint 110 figures on a surface covering 600 m². The artist innovated by using a ‘magic lantern’ to project his preparatory drawings to scale onto the canvas surface. In 1989, Nam June PAIK (1932-2006) paid tribute to Dufy’s work with his audio-visual installation La Fée électronique consisting of 200 television monitors and 5 video robots each representing a figure of the French Revolution, including the famous Olympe de Gouges. The world of Contemporary art is in fact highly porous to virtual reality. Some artists use digital tools in their creations… some set up totally dematerialized creations like Ai WeiWei and Oliafur Eliasson’s moonmoonmoonmoon.com website in 2013 allowing people to draw or write something on a virtual moon and thus interact with each other. Others use digital codes to create works with traditional media. Aram Bartholl examines the relationship between the digital world and the physical world: his project Map is a large format installation of Google Map’s red pointer at the exact centres of cities like Kassel and Taipei, giving ‘material reality’ to Google’s GPS calculations. In short… the digital era raises serious questions about the place of humans in the world, and artists have quickly found themselves at the heart of this question. ‘New media artist’, ‘multi-media artist’, ‘digital artist’… certain artists have escaped the standard appellations of sculptor, printmaker, painter etc.. The appearance of digital applications in practically all areas of human activity has changed the relationship between artists and their creations. By opening the field of ‘virtual’ possibilities, the artist gains autonomy and discovers new models. It makes non-adherence to the processes imposed by tradition and institutions a lot easier. With computer programs, the importance of manual techniques is receding in favour of digitally generated shapes and forms. Colours and materials are nowadays just series of numbers. The creative process can be infinitely faster. The artist delegates to the machine a part of his power, and what it produces can be infinitely and constantly modified. With Deep Learning, the machine instructs itself and becomes independent… until it is creating more or less on its own: the artist Leonel MOURA (1948) makes robots able to paint and draw independently. This is the idea behind his RAP (Robotic Action Painter, 2006), a permanent installation at the American Museum of Natural History in New York. The result is impossible to determine because the robot runs algorithms. It decides for itself when the work is finished and then signs it. The relationship between the artist and his audience also changes. Digital tools have become a universal medium: everyone has access to know-how and culture; everyone can express themselves and create works of art. Digital art is above all a participative and collaborative art. The artist / public relationship is much flatter. The public takes an active part in contemplating the artwork and even becomes a participant and/or an integral part of the creative process. This idea is at the heart of the work of Miguel Chevalier, a French artists born in Mexico in 1959 and considered a pioneer of virtual art. The movements of visitors to his video installations actually modify them in real time, as in Liquid pixels (2009). The movement of each visitor is converted into a brush stroke creating a trail of colour that gets blended with the backdrop, using a technique described as electronic dripping. What defines a work of art in the digital age? Since the advent of abstraction in art, artworks can no longer be defined by their subject. The lawsuit that Constantin BRANCUSI (1876-1957) filed (and won) in 1928 against the United States Customs Service to have his Oiseau dans l’espace recognized as a work of art put a definitive end to the need for a subject in art. Since the advent of printing and then photography (not to mention sculpture and manufacturing) a work of art can no longer be defined by its unicity, since many artworks are produced in series and editions. Now that an artwork can be created by a collaborative process or a team or as a result of a number of different production layers, the work is no longer defined by its author. Perhaps we should define an artwork by its audience, the persons for whom it is destined? After all, as many have observed (including famously Oscar Wilde), beauty is in the eyes of the beholder. An artwork may be defined first and foremost by its idea, i.e. by the work of personal imagination in its conception rather than by its realisation that can be delegated or even automated. Nicolas Schöffer anticipated this vision of art by stating that “the role of the artist will no longer be to create a work, but to create creation” (1956). Yes… but… digital creations – processes that are open and often collaborative, monumental and/or deliberately ephemeral – are struggling to get accepted within the art market’s traditional economic circuits. A market for digital art? In recent years, the art market has moved massively into the ‘online’ sphere and, since 2010, Internet sales have exploded. But ownership of a digital artwork is still a rare thing and there are very few places where one can actually buy one. In effect, digital art poses problems of conservation, maintenance and reproducibility since the bulk of the works started life as computer code. Then there is the problem of pricing: what values can/should be attributed to artists who only do digital art? Is this type of art destined to be sold uniquely via the secondary market? The models and networks of the Contemporary art market are not necessarily applicable or relevant to digital art. Back in the day, photography, then video, started by mimicking the commercial codes of the Contemporary art (certificates of authenticity, limited editions, etc.). On 29 January 2014, anniversary of the death of Nam June Paik, the first video art auction was held at Hôtel Drouot organised by auctioneer Vincent Wappler. All the lots proposed had digital or online versions. Buyers were offered the ‘originals’. But even if digital art follows the same road, it must overcome technical and legal problems related to the specific media required for a multimedia work. In fact the very sale of a digital work raises questions right from the start… What exactly is being sold? The software, the computer, the microphone, the screen… or everything. The Paddles on! 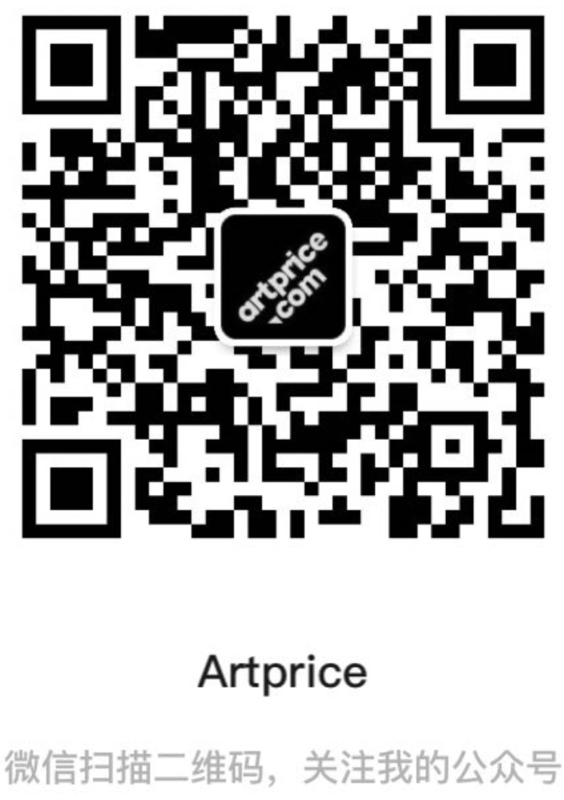 sale organised by Phillips in New York in October 2013 and curated by Lindsay Howard was the first digital art sale. It featured websites, YouTube videos, software and animated GIFs. Most of the pieces sold, some up to $16,000. The following year, Phillips reiterated the experience in London but the proceeds fell short of expectations and since then no auction house has taken the risk of trying to sell digital art for the lack of a clearer economic model. However, but some ideas are beginning to emerge, such as a ‘exhibition rights’ (fees paid to an artist when his/her work is shown in public) and the establishment of dedicated streaming services, connected to screens already in place. Encountering difficulties in finding its place within the existing spaces, the digital art community is organising itself in a parallel and autonomous fashion around dedicated fairs like the NEMO Biennale (4th edition in 2018) and the ELEKTRA festival and via websites or online magazines like Digitalarti created in 2009. To avoid the risk of ghettoising digital art, further collaboration is needed between the art world, economic platforms and the tech world in order to find sustainable models for these new forms of creation.